The "Dream Museum" would be an enormous room (750 feet long, with 80 foot ceilings). The life sized reproductions would be arranged in a grid, organized by region/culture along one dimension, and chronologically down the other. 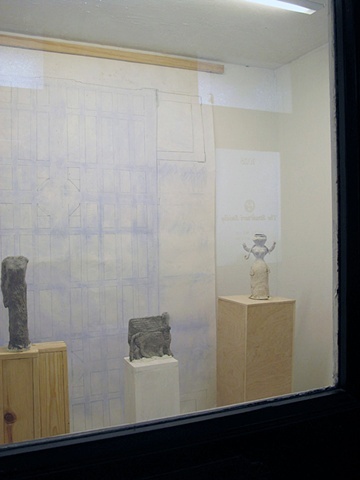 Taft's Last Dream, is a diorama based on archival photos and Taft's notebooks, accessible only by peering in a window on the side door of Taft's former studio.